E. Raguin: Geologie du granite. Paris 1946 (Masson & eie). 211 sider, 46 fig. Fr. 360,00. 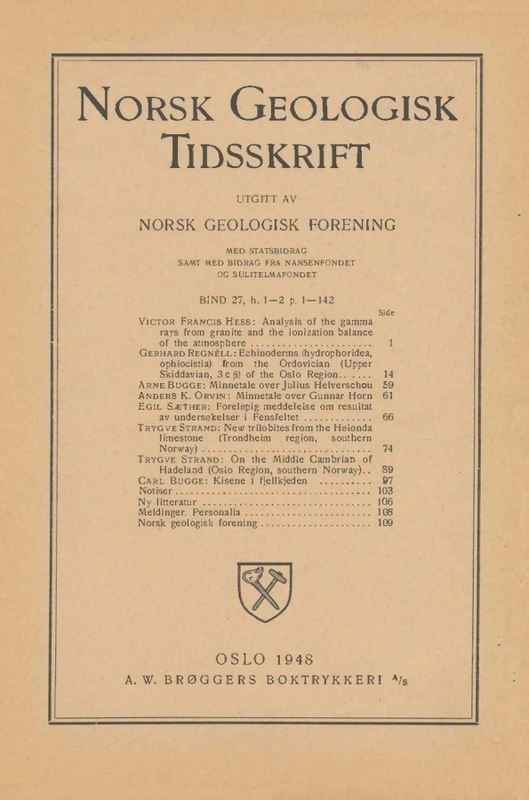 Ernest E. W ahlstrom: Igneous Minerals and Rocks. 367 s., 135 fig. 50 dollars. Wiley, New York, 1947.